Real Asian Beauty: Free Invites to the BDJ Box Beauty Social on March 24! 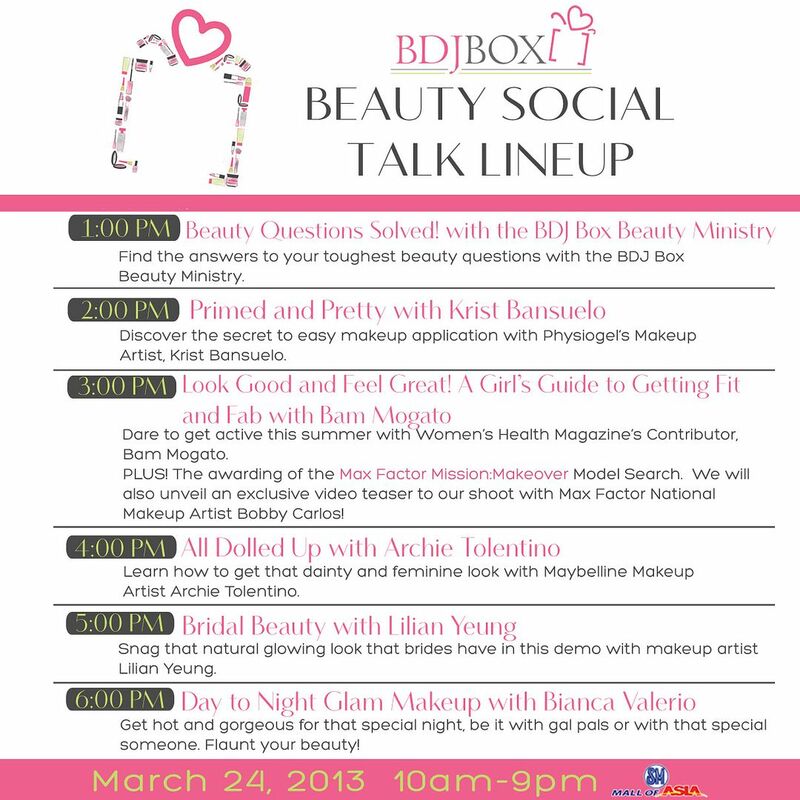 Free Invites to the BDJ Box Beauty Social on March 24! Hello everyone! Happy hot and sizzling Thursday! It's getting hotter and hotter now, isn't it? Anyway, I'm not sure if I mentioned this on my blog yet but Belle De Jour is really one of my favorite companies. Their products (BDJ planner and BDJ beauty box) are all amazing, the service is great and the people behind it are all so warm and kind. So this Sunday, Belle De Jour is inviting you to join their Beauty Social to be held at the SM Mall of Asia Atrium. Anyone can join the said event but slots are limited so hurry and reserve yours now! How to get invites to the BDJ Beauty Social? Answer the question : What's your "I honestly can't live without it" beauty product? It's so easy! So hurry and send us your details now! See you at the BDJ Box Beauty Social, beautiful ladies!